Protecting your windshield against damage can prevent expensive repair bills and can increase safety on the road for you and your passengers. A few simple steps can provide added protection for your auto glass. Here are six of the most effective strategies for avoiding Houston windshield repair costs and ensuring clear visibility from behind the wheel. 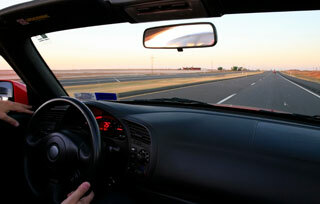 Large trucks can throw up rocks and debris that can cause damaging impacts to your auto glass. Staying well back from these vehicles, especially when traveling at highway speeds, can provide an extra measure of protection for your windshield on the road. By providing semis and 18-wheelers with added room, you can also reduce the risk of accidents that could produce even greater damage to your auto glass, your vehicle and your passengers. Using automaker-approved cleaning solutions on your windshield and auto glass can prevent scratches, discoloration and other damage to these delicate surfaces. Vinegar and water or commercial products specifically designed for use on windshields can ensure the best possible results while protecting your auto glass against etching and other damage during the cleaning process. Closing the doors of your car, truck or SUV gently can prevent unnecessary impacts that can create stress on your auto glass and could necessitate a Houston windshield replacement or repair. Slamming the door can cause a host of problems, including jarring the windows out of their tracks and causing damage to auto glass throughout your vehicle. Taking a little extra care when entering and exiting your vehicle can provide added protection for window and windshield glass to protect the value of your automotive investment and lowering the risk of damage to your car or truck. Especially with the hot summers in our area, the interior of your vehicle can heat up to an extreme degree. Turning on the air conditioning immediately upon entering your vehicle can help to keep you cool; unfortunately, this can also put serious stress on your windshield and auto glass. Rapid changes in temperature can cause cracks to form in glass that can reduce visibility and lower the structural stability of your vehicle. Leaving windows open a crack during hot weather can allow heated air to escape and can prevent extreme temperature differentials from damaging your auto glass. Parking your car, truck, van or SUV in the shade whenever possible can also protect your windshield and windows from damage caused by sudden changes in temperature. Proper maintenance and replacement of your windshield wipers can reduce the risk of damage caused by blades contacting glass surfaces. This can also ensure clear visibility during rain storms to lower the chance of an accident during inclement weather. Replacing your windshield wipers regularly can help you to avoid repair and replacement costs resulting from scratches and scrapes caused by malfunctioning wiper blades. 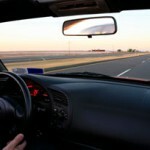 Even small windshield chips and cracks can spread to create serious visibility issues for drivers. Worse yet, this damage can reduce the structural integrity of your windshield, compromising the protection afforded by this key component of your vehicle. Working with a Houston auto glass company to repair these minor imperfections quickly can prevent them from becoming major issues that could reduce visibility and could require a full windshield replacement. The professionals at Apple Glass Company can provide you with the expert repair and replacement services needed to keep your car or truck in peak condition. As the premier Houston auto glass service company, we offer in-shop and mobile services for customers throughout the metropolitan area. Call us today at 713-680-1400 in Houston or 281-296-0600 in The Woodlands to schedule an appointment or to get a quote for your auto glass repair needs. We look forward to helping keep your vehicle safe. This entry was posted in Safe Driving and tagged Houston Auto Glass, Houston Windshield Repair, Houston Windshield Replacement. Bookmark the permalink. God Bless Apple Glass! I have had a horrible experience with another company and wanted to call and commend your people. You are very polite and professional. I feel I was treated very well and wish I would have chosen APPLE to begin with….Thanks!